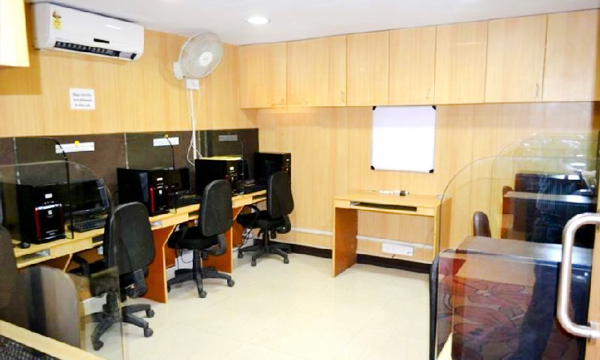 DTecH IT Education is a fast growing IT Training company in Bangalore is run by a team of well experienced IT Professionals who have worked for many years in IT MNCs. DTecH IT Education is an Oracle Partner & Leading retail Oracle training company registered in Bangalore. Founded in 2009, it is aimed at mentoring IT professionals to leverage and keep them in sync with the trends and techniques in the ever changing Technology platforms and equip them with better skillset to to become better leaders of tomorrow. DTecH is also an Authorized Exam Center partnered with Pearson Vue India. Company was founded. Was named OraclePassport initially. Started trainings in a for working professionals in retail training mode. Incorporated as a Company under LLP act 2008 of MCA. Pioneers in providing Oracle 11g trainings on Developer and DBA track, in Bangalore. Became Oracle Silver Partner in June 2011. Trained more than 250 students in various Oracle tracks. Became Pearson Vue partner and Authorized Exam Center for Oracle, Cisco, HP, EMC etc in Sept 2012. Delivered exams for more than 280 Candidates in just 4 months (Sep-Dec 2012). Launched eCommerce Store for selling Products & services. Started One Day Seminars and Online training programmes for India & International customers. Partnered with ccAvenue for online Payments for Indian customers. Trained more than 500 students in various Oracle and DataWarehousing tracks. Delivered exams for more than 1000 Candidates. Became Kryterion partner and Authorized Exam Center for Informatica, Google, Amazon etc. How is DTecH IT Education different? Mentoring students for a better career. No complaints from any students so far. Area required : 1000-1500 sq. ft.